Lock in a great price for Hubert House - rated 8.5 by recent guests. The owner was very helpful when I lost my smartphone. I liked the location and the bed. The staff were very helpful and went out of their way. They made us feel very welcome and told us everything we needed to know. They brought fresh milk to our room when we requested this and were generally very helpful and kind. It was more than we expected, everything was really beautiful and the proprietor was really kind and helpful! The breakfast was delicious, we really enjoyed our stay. Thank you! Nice, clean comfortable room with nice views and decor. Can boil water and make hot tea and coffee. A good hairdryer to use. Nice toilet/bath. 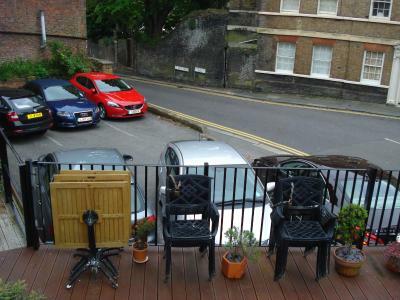 Walking distance to town centre and attractions. Nice breakfast every morning! Very welcoming and very friendly service,close to the shops and local restaurants. 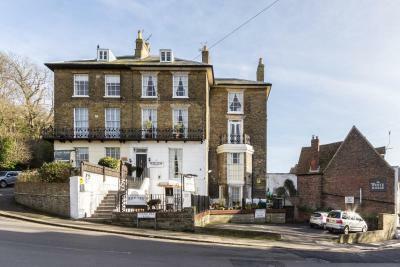 One of our top picks in Dover.This family-run guest house has won multiple awards and is the only accommodation provider in Dover with 4 stars and the much coveted Gold Award. 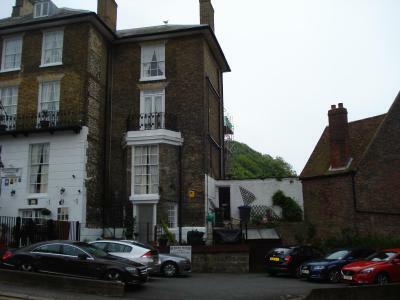 Hubert House is situated at the foot of the hill leading up to Dover Castle, and the world-renowned White Cliffs. 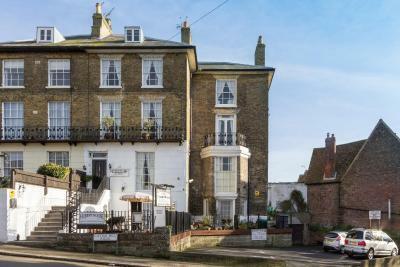 It is just 2 minutes' walk from the centre and 5 minutes from the ferry and cruise terminals. The included buffet breakfast offers home-baked croissants, fresh fruit, real coffee and artisan teas. 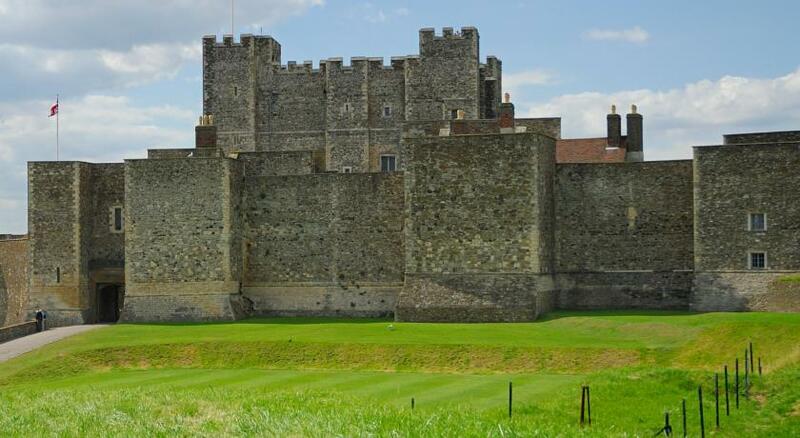 This property also has one of the best-rated locations in Dover! Guests are happier about it compared to other properties in the area. Hubert House has been welcoming Booking.com guests since 1 Aug 2005. 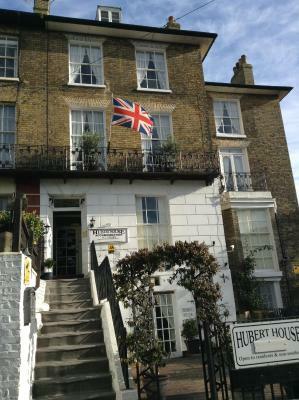 When would you like to stay at Hubert House? Single Room with occasional views of France and the English Channel. This room is compact and can only accommodate 2 pieces of luggage. Rate based on 2 adults. Room accommodates 2 adults and 2 children. Please see the children and extra beds policy section for additional costs for extra guests. Luxury room features period furniture, a four-poster bed, a double-size bath and a private balcony. There is a foldable single bed available to accommodate 1 guest. With views of the old conservation square and the street. With views of the old ruined church, this compact room is situated the closest to the front door with few stairs to climb. 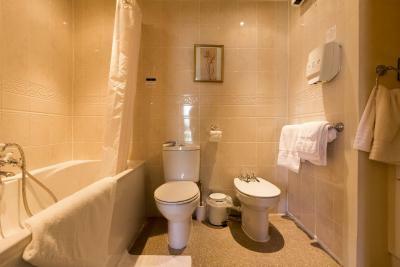 It offers a double bed and en suite facilities. This double room features a seating area, and flat-screen TV. The bathroom has a bath tub shower. Located on the top floor, the room offers sea views. we have been at hubert house 10 years now, we are conveniently placed for the beach,leisure centre, towncentre, restaurants, castle, the ferry port, buses, and the cruise liner terminal, we accept pets by special arrangment, all our rooms are ensuite, double and kingsize beds available, family rooms,[ no bunk beds.] we serve a award winning breakfast our continental buffet breakfast is included in the price but cooked breakfasts can be ordered on arrival. off road private parking onsite is free. House rules Hubert House takes special requests - add in the next step! Hubert House accepts these cards and reserves the right to temporarily hold an amount prior to arrival. Early check-in from 12:00 is possible for a surcharge of GBP 10. If you require early check-in please add this in the special requests. Prior approval is required from the property as the property is closed until 16:00. Check-in before 12:00 is not possible. Some Double, Twin and Family Rooms are for multi-use, so may have additional beds in them. Guests will only be charged for what is booked, and not for these additional beds. If you expect to arrive outside reception opening hours, please inform Hubert House in advance. Please note that there will be no breakfast served on 25 December. Laundry services can be arranged with the property to collect in the mornings by prior arrangement. Additional charges will apply. I didn't like that my folding bike couldn't enter the house (and I wasn't offered an alternative location for it inside). The breakfast at 9am on Monday (instead of at the normal hour 8am) without being adequately announced. We had been asked when we would arrive and on the day we updated from ca. 8 pm to 7.30 pm. But there was nobody there. we had to wait nearly 15 minutes before somebody turned up. Not what you would expect from a properly run guesthouse. Breakfast was mediocre. The scrambled eggs had been cooked the night before and were overcooked; the promised fired egg did not come, as they had run out of eggs; instead we got a slice of toast (no joke). Great breakfast. Close to castle and lots of shops. The parking was a bit tricky, but cannot mention anything else. I loved this place! My room (#1) was on the top floor, spacious and had great views. The hostess was super friendly, extremely helpful and went way out of her way to make my stay comfortable. I could live here! It is a rambling home full of character and centrally located to everything worth visiting in the area. Highly recommend. I'm definitely staying here whenever I return to Dover. Have to climb stairs. No lift to bring up the heavy luggages.